We are in the midst of the digitalization of seemingly everything. Music, magazines, airline boarding passes, e-payments are just a few areas where some for a longer period, some just recently where the traditional interaction is being slowly replaced by a digital. What will happen to the traditional methods? Will they disappear? An interview in Die Zeit from 28. 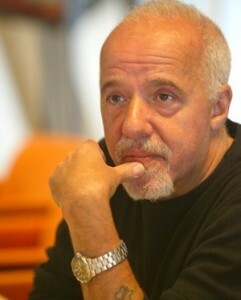 June 2012 with Paulo Coelho discussed this topic and more. His answer was simple and to the point, “every technological revolution created a platform for a cultural revolution”. What we are learning through this transformation is that the access to information has become easier for many but that it is not always replacing the former methods. 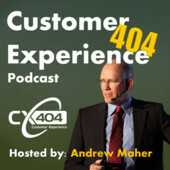 This new digital method is being added to the mix of opportunities to connect with people, to connect with customers and this must be managed within the entire mix. Running a digital e-book campaign while ignoring those who although attracted by the “newer, easier, faster” adverts but still head to their local bookstore to obtain the same is plain failure. The experience needs to be aligned as much as possible. This is a challenge that many companies are ignoring. Many are adopting this digital method as a way to save money, but still move product and while the cost savings are certainly not inherently wrong, only when the ‘traditional’ customer is treated as a second class citizen it is. Recently at my local airport I heard over the PA system that those customers with ‘e-tickets’ were being asked to board right after the premium clients and the rest (those with paper tickets) were to board last. What message is being told to those customers? You cost me more money and I really do not want you here? Policies like these are not what Mr. Coelho meant when referring to his experiment with 99c e-books. There he dropped for 3 weeks the price of all his e-books except for his most popular book The Alchemist to 99 cents. The interest for the 99c books brought others to also purchase his now ‘premium’ book and it climbed to place 7 on the New York Times best seller list. The digitalization will not be slowed anytime soon. Companies must learn that greed alone will not bring them the long term success they expect. Paying close attention to your customers, whereever they may come from is the key to them returning over and over again. Getting the mix right, that is the real priority. * Quotes come from Die Zeit article “Twittern ist Kunst” from 28. June 2012 with Paulo Coelho one of the most sold authors with his well known book The Alchemist having sold more than 65 million times.